Federal regulators have turned a blind eye to the massive risks of using mercury as the propellant in thousands of communication satellites slated for launch in the next few years, according to a complaint filed today by Public Employees for Environmental Responsibility (PEER) with the Federal Communications Commission (FCC). The complaint charges that unregulated orbital mercury emissions could reverse global progress in reducing mercury in the environment. The complaint concerns a plan by an American company, Apollo Fusion, to use elemental mercury as a propellant in thrusters for satellites to be launched by communications companies taking advantage of the coming boom in satellite “mega-constellations” designed to provide global Internet broadband service starting in 2019. Under these plans, the approximately 1,500 satellites currently orbiting the planet will soon be increased nearly ten-fold. Due to its high density, mercury is an excellent propellant. 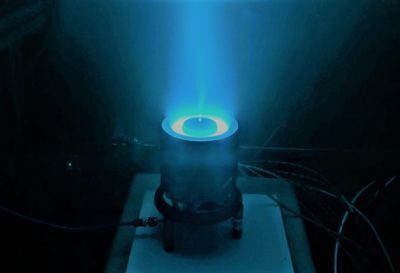 Apollo Fusion has developed thrusters using liquid mercury as the onboard propulsion to maintain altitude and adjust orbits. The liquid mercury is vaporized into a gas, ionized, and accelerated out of the thruster. Those mercury atoms will then drift down through the stratosphere to the earth’s surface, mostly onto the world’s oceans. The complaint takes FCC to task for its decision to let satellite operators self-certify their technology will have no significant impact on human health or the environment, a practice contrary to federal law and treaty obligations. Currently, the FCC only examines satellite payload and its electromagnetic frequency. By contrast, U.S. law requires any federal agency to assess the full environmental impact of its actions. Mercury is a potent bio-accumulative neurotoxin. A global treaty, The Minamata Convention, obligates its 128 signatories to take steps to reduce mercury releases. The U.S. was the first signatory. However, large-scale orbital discharge of mercury could reverse planetary progress in reducing mercury emissions. In addition, a launch pad explosion of a satellite carrying liquid mercury would, among other problems, severely contaminate the local area under a cloud of mercury mist.